Photograph of the entrance to the maternity ward at Jones hospital. This building was opened in 1940, and was used in various forms until it was demolished in 1973 after being replaced by a new brick building. 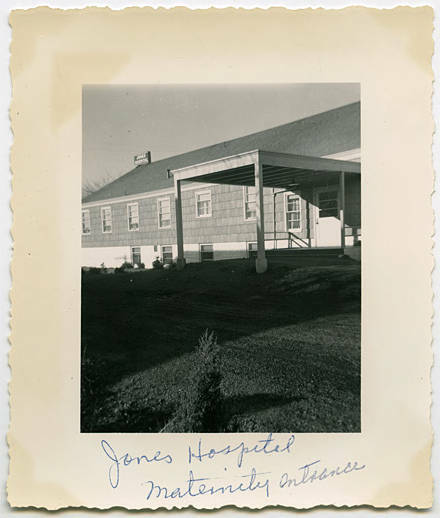 Jones Hospital later became Tuality Community Hospital.